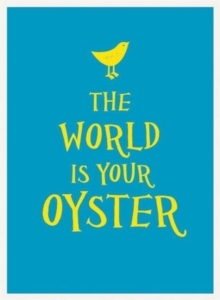 `The world is your oyster. It's up to you to find the pearls. 'Chris Gardner Whether you're starting out on a grand adventure or facing a new challenge, this little book of inspirational sayings and wise sayings is a timely reminder that life is out there, it's time to grab it!